Civil Administration removes one plot of land from Amona outline due to Arab ownership claims. The Civil Administration announced on Thursday evening that after examining Palestinian Arab claims of ownership of four “absentee property” lots to which the community of Amona is expected to be relocated, it was determined that only one of the four properties have ownership claims and, as such, will not be part of the relocation plan. The relocation process will continue as planned with regard to the three other properties. It is estimated that the three remaining lots will have sufficient area on which to set up homes for the 40 families living in Amona today. The agreement reached between the residents of Amona and the government secured the orderly evacuation of Amona in exchange for promises to construct new housing for 24 of the 42 families on plots located on the same hill the town is presently located on. In addition, the remaining 18 families would receive new homes in a separate community in Samaria. As part of the deal, the government requested and received a delay in executing the Supreme Court’s demolition orders for Amona, giving the state until February 8 to complete the evacuation. 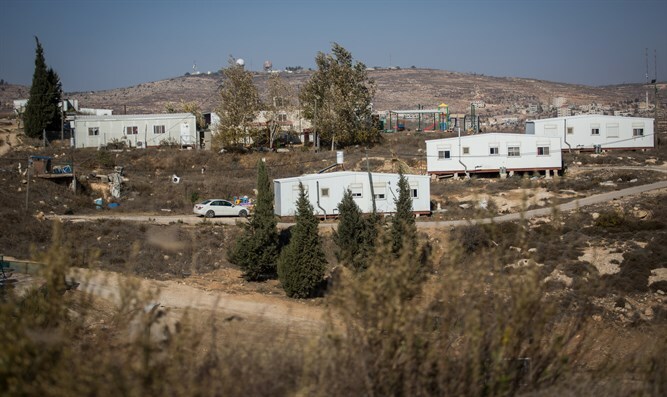 Before it approved the delay, the court demanded that the residents of Amona submit written pledges to uphold their side of the agreement, even if the government does not follow through on its own promises. The Amona headquarters said on Thursday night following the Civil Administration’s announcement that “the Amona outline is pointless, if not bleeding to death. Of the five plots in the layout, two have been declined, two have claims on them and the Civil Administration says it expects additional claims on the one that remains. “Under these circumstances, and in light of the failure of the political leadership to keep its promise that ‘work will begin immediately to implement the outline’, we can only renew our call to complete the Regulation Law including the retroactivity article,” added the residents.